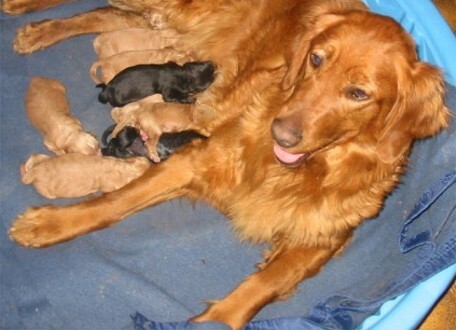 On this page you will find pictures of the original dogs that we used to breed our Sport Retrievers! You will find them on your puppy's pedigree. We picture them here so that you may match their names with their pictures! "Shadow" is a Golden Retriever. She is the mother to our Sahara & Tiara. "Princess" is a Golden Retriever. She is the mother to our Al, Virginia, and Fiesta. "Peaches" is a Golden Retriever. She is the mother to our Rocky, Cola, & Sprite. 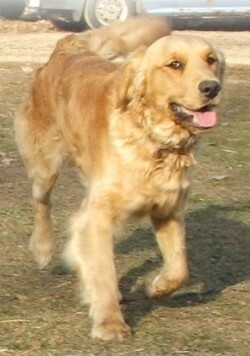 "Shiloh" is a Golden Retriever. He is the father to our Amber & Basil. 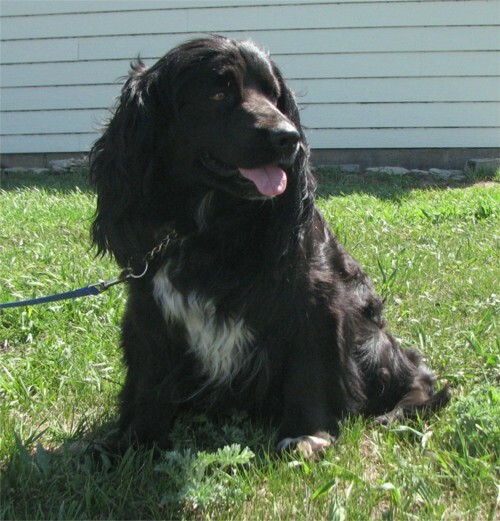 "Duke" is an American Cocker Spaniel. He is the father to our Sahara, Tiara, & Fiesta. 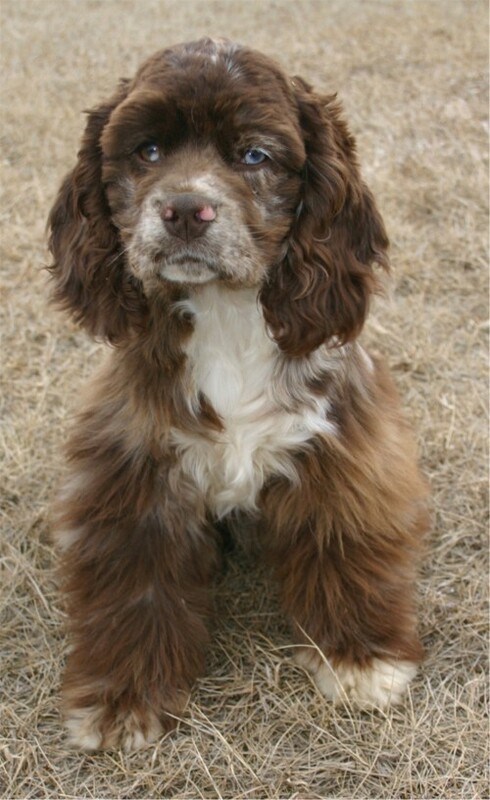 "Charlie" is an American Cocker Spaniel. He is the father to our Al & Virginia. 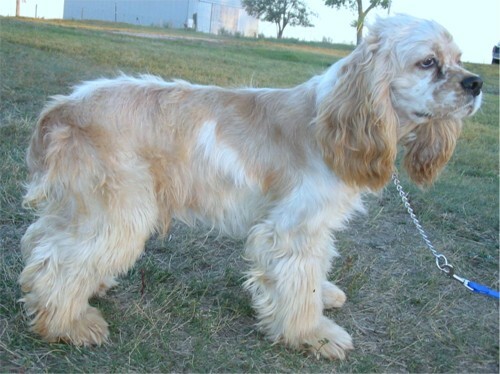 "Dutchess" is an American Cocker Spaniel. She is the mother "Teddy", who is the sire to Tiger. (Tiger's mother is Fiesta). 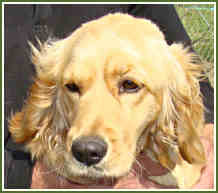 "Isabelle" is an American Cocker Spaniel. 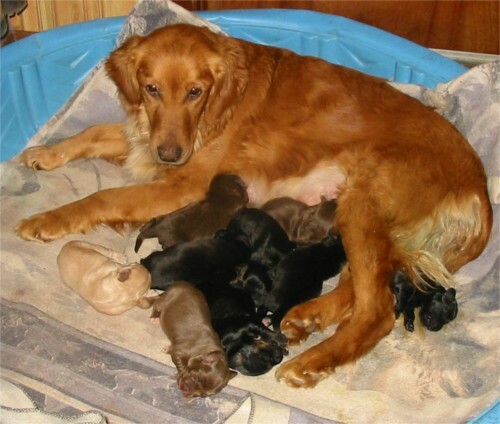 She is the mother "Phoenix", who is the sire to Rocky, Cola, & Sprite. 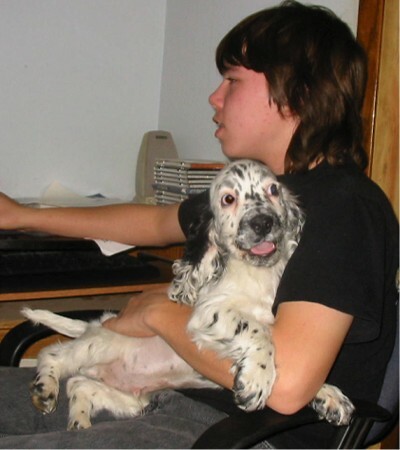 "Nutmeg" is an English Cocker Spaniel. She is the mother to Basil & Trixie. (Pictured with baby Basil). 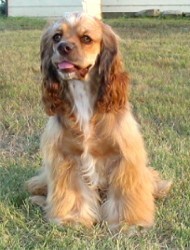 "Ginger" is an English Cocker Spaniel. She is the mother to Nutmeg. (Nutmeg's sire is a blue roan). 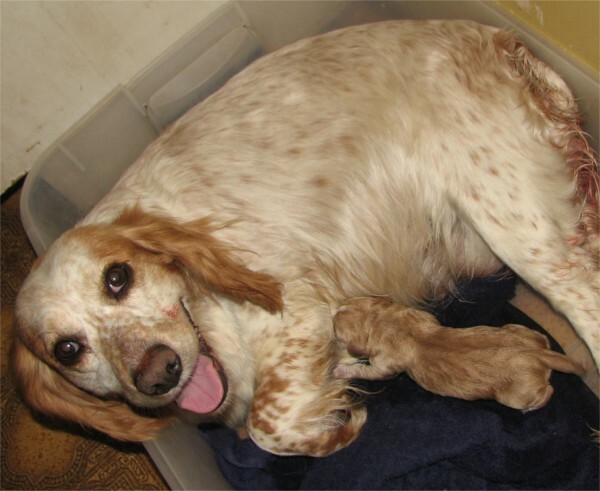 "Giggles" is an English Cocker Spaniel. She is the mother to Amber. 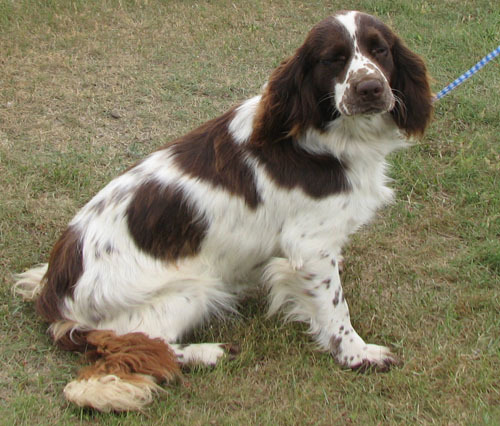 "Gil" is an English Cocker Spaniel. 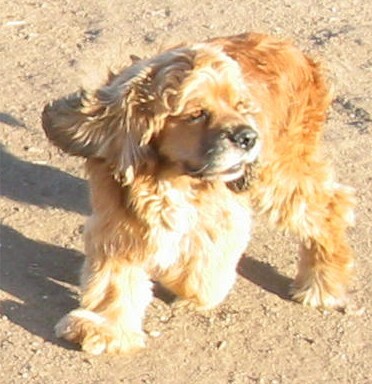 He is the father to Phoenix, who is the father to Rocky, Cola, & Sprite..
"Phoenix" is a Colonial Cocker Spaniel. He is the father to Rocky, Cola, & Sprite. 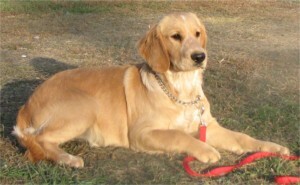 "Teddy" is a Dakota Sport Retriever. He is the father to Tiger. 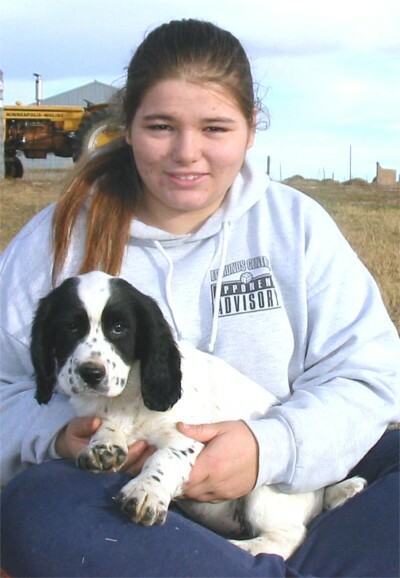 "Mindy" is a Dakota Sport Retriever. She is the daughter of Shadow & Duke, full sister to Sahara & Tiara, mother to our Sienna & Felicia. "Ivy" is a Golden Retriever. She is the grandmother to our Sky. 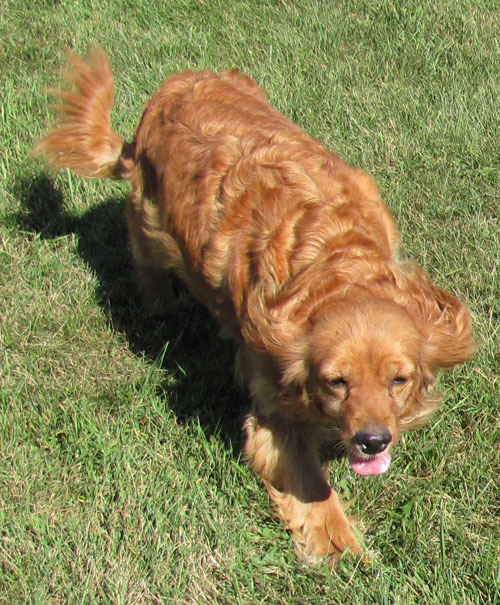 "Tiger" is a Dakota Sport Retriever. He is the father to our Blue. He is 2nd generation. His parents are Teddy & Fiesta. 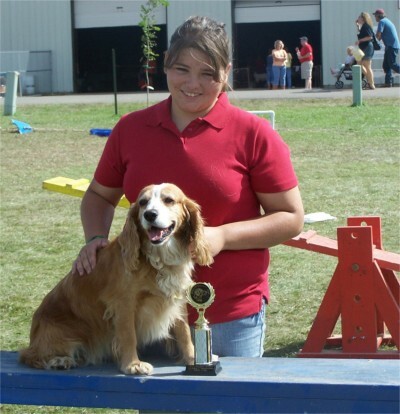 "Bree" is a Dakota Sport Retriever. She is the daughter of Ivy & Charlie, and the mother to Sky. 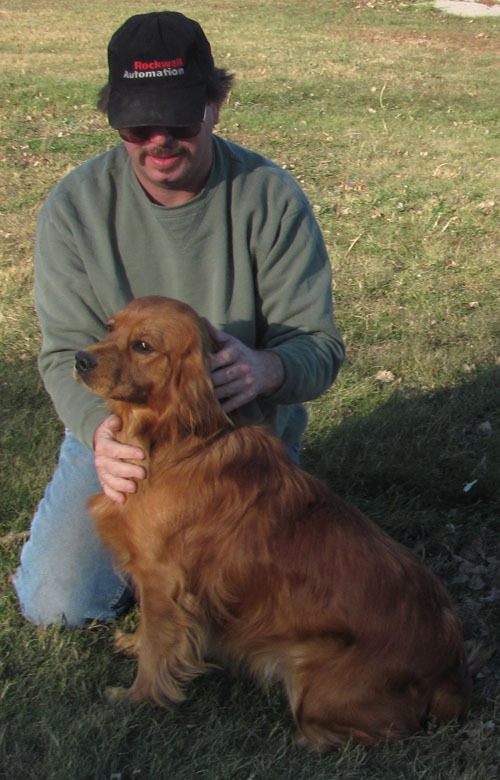 "Rocky" is a Dakota Sport Retriever. He is the son of Peaches & Phoenix, full brother to Cola & Sprite, and father to Sky, Remi, Gemma, Cocoa, Snickers, Pebbles, Fawn, and Fiona. 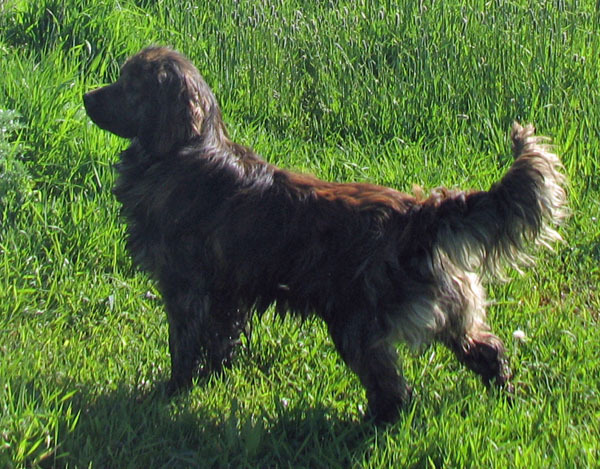 "Basil" is a Dakota Sport Retriever. 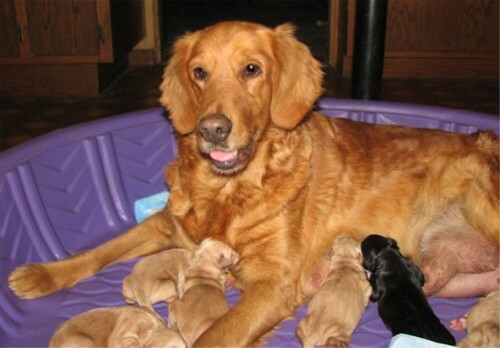 She is the daughter of Nutmeg & Shiloh, and the mother to Sully and Blue. 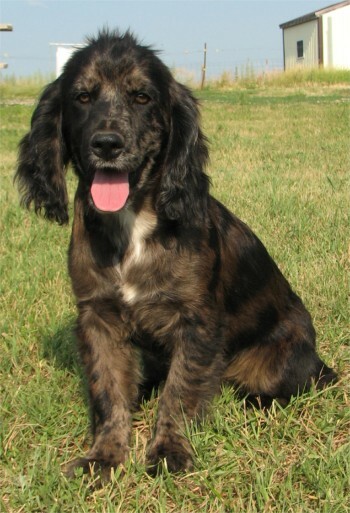 "Sienna" is a Dakota Sport Retriever. 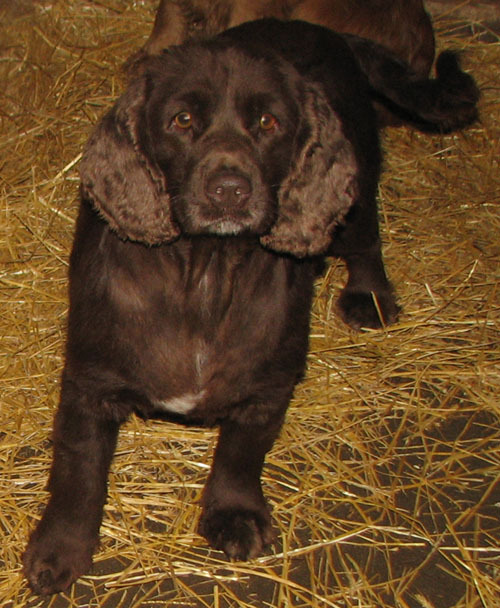 She is the daughter of Mindy & Al, and the mother to Cocoa & Snickers. 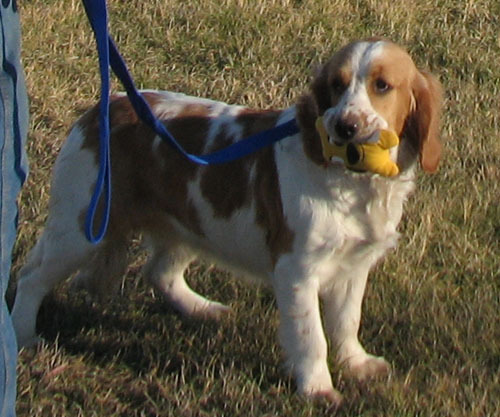 "Tucker" is a Dakota Sport Retriever. He was not bred or born here. He has a Golden Retriever dam, and a Buff & White Parti Cocker Spaniel sire. He is the father to our Tonka. 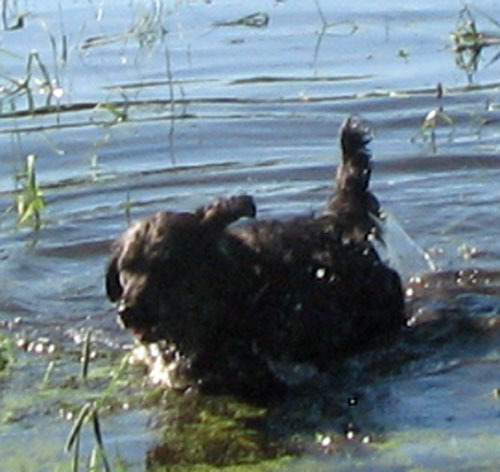 "Fiesta" is a Dakota Sport Retriever. She is the daughter of Princess & Duke, and the mother to Tiger, Fawn, and Fiona. 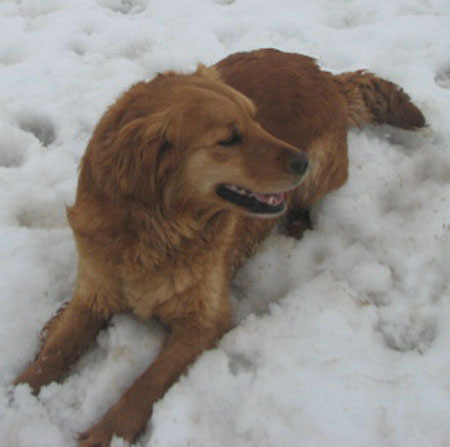 "Amber" is a Dakota Sport Retriever. She is the daughter of Giggles & Shiloh, and the mother to Ami & Dahlia. 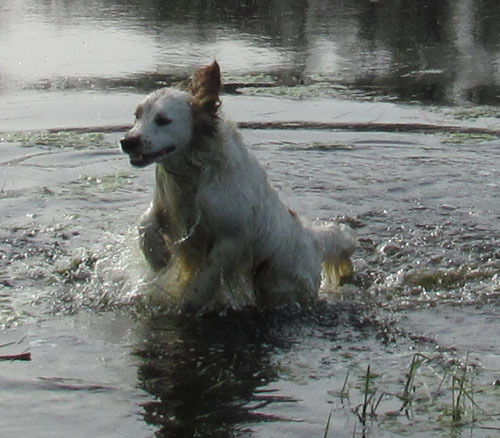 "Tiara" is a Dakota Sport Retriever. She is the daughter of Shadow & Duke, and the mother to Gemma & Tonka. 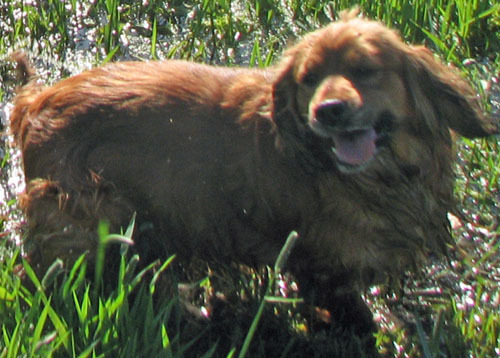 "Ami" is a Dakota Sport Retriever. She is the daughter of Amber & Al, full sister to Dahlia, and the mother to Remi & grandmother to Pammy and Daisy. "Al" is a Dakota Sport Retriever. 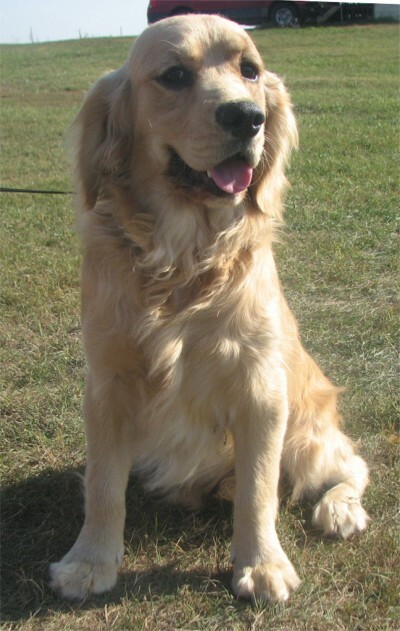 He is the son of Princess & Charlie, and the sire to Dahlia, Ellie, Maggie, and Gracie, as well as others on this page!